Item # 285706 Stash Points: 1,799 (?) This is the number of points you get in The Zumiez Stash for purchasing this item. Stash points are redeemable for exclusive rewards only available to Zumiez Stash members. To redeem your points check out the rewards catalog on thestash.zumiez.com. Perfect addition to any wardrobe, the Classic Patch Trucker Hat from Vans provides casual comfort with a touch of dark brown, tapenade color. Designed with a classic trucker hat silhouette finished with the brand's iconic "Off The Wall" skateboard graphic as an embroidered patch on the front. 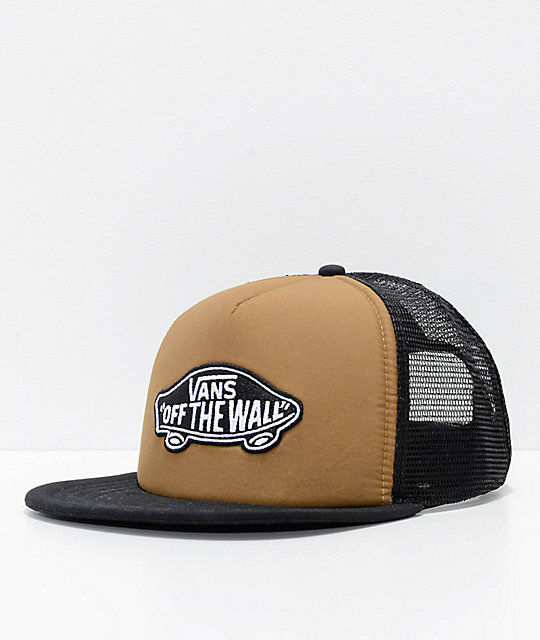 Classic Patch Tapenade Trucker Hat from Vans. 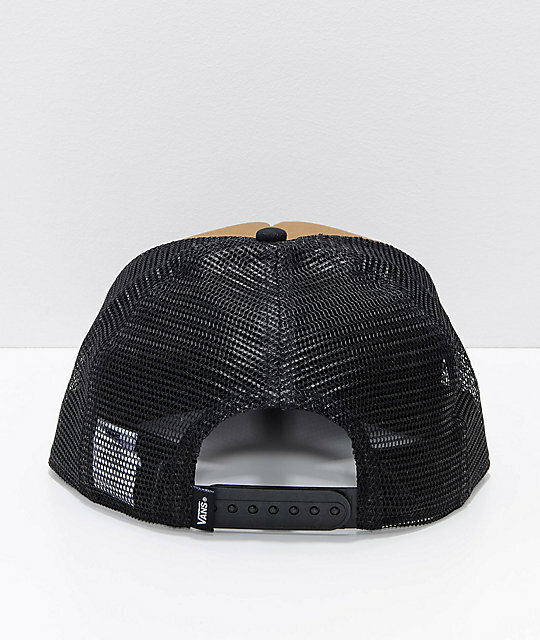 Classic trucker hat silhouette with polyester solid front and back mesh panels. Adjustable snapback sizing piece for a custom fit with brand tag.